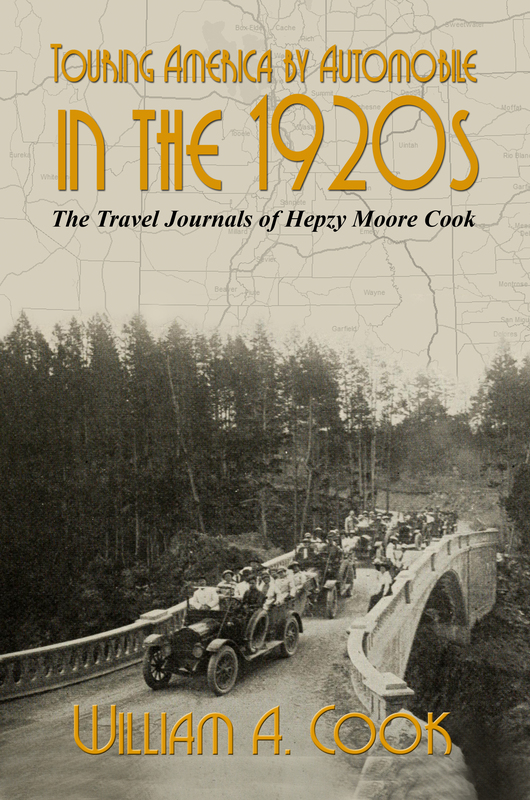 Vermillion, SD — Sunbury Press has released Touring America by Automobile in the 1920s, William A. Cook’s compilation of his grandmother’s, Hepzy Moore Cook, travel journals. A true labor of love, author William Cook has reproduced his grandmother’s (Hepzy Moore Cook) narrative of the day-to-day rigors in early twentieth century vacation travel by automobile. The journals describe in great detail, a more remote, less accessible nation that existed ninety years ago during the dawn of America’s love affair with the car. The oldest of the two journals written by Hepzy Moore Cook chronicles a challenging and sometimes very hazardous journey by automobile taken by her, the author’s grandfather, Dr. William A. Cook and father, Ralph Moore Cook in August, 1920 from Vermillion, South Dakota to Yellowstone National Park and back again to Vermillion, covering 3,180 grueling miles in the process.